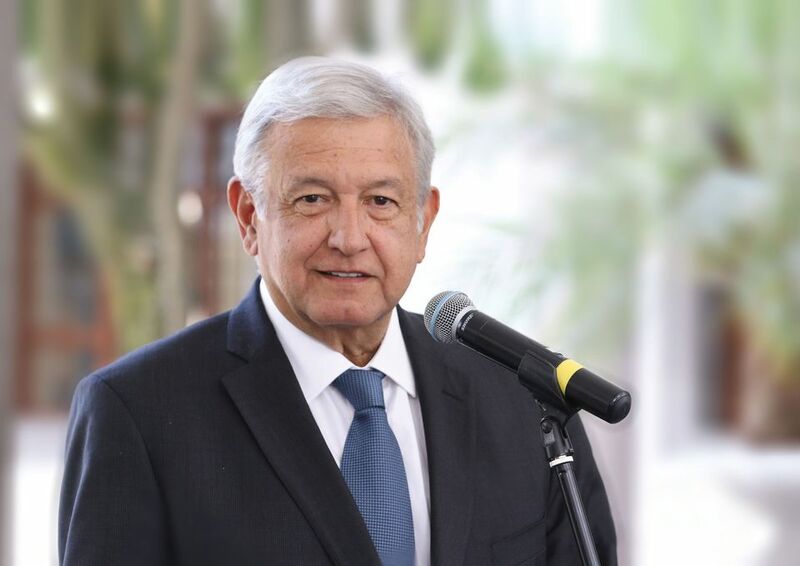 Mexico’s President­elect Andres Manuel Lopez Obrador, who takes office on 1 December, has pledged to cut back on taxpayer-funded “luxuries”, like the presidential airplane. He has also promised to earn just half the salary of his predecessor, live modestly in his own home and convert the official “Los Pinos” residence in Mexico City—now largely shut off to the public—into one of the largest museums in the world. But his decision to abandon the trappings of power has also given way to an interesting cultural prospect: dozens of works of art held at the presidential mansion could be turned back over to public institutions, or viewed by the public inside the residence itself. “Los Pinos will be a space for the arts and culture of our people,” Lopez Obrador told local media in September. According to government inventories viewed by The Art Newspaper, the presidential collection includes oil paintings by well-known Mexican artists such as Diego Rivera, David Alfaro Siqueiros, Rufino Tamayo and José Clemente Orozco, as well as sculptures, lithographs, historic rugs, lamps and chandeliers. Among the most valuable works are an oil painting by Rivera from his Flower Seller series estimated to be worth 31.5m pesos ($1.7m) and a self-portrait by the muralist Orozco ($315,000). Another 103 works have been lent to the palace from public collections. “There are definitely pieces of excellent quality” in Los Pinos, says Ana Garduño, an art historian who examined the list. But she adds: “It’s possible there are many works in warehouses that we haven’t seen and that aren’t included.” She noted that most of the works included on the government’s lists are by artists who are already well represented in Mexico’s museums. But while she and others applaud the idea of returning the works on loan or compiling a more formal catalogue of the collection, they also say the prospect of opening up Los Pinos as a cultural institute raises a key question: does Mexico City even need another museum? For much of Mexico’s history, presidents lived in Chapultepec Castle until, in 1934, President Lazaro Cardenas moved to Los Pinos. Soon after, the castle opened to the public as the National Museum of History, and now sits among a cluster of museums dedicated to Mexican culture, anthropology and art. Fernando Leal, an architect who focuses on the restoration of public space, calls the museum idea “anachronistic”, saying it would be better to convert parts of the palace into a media library or technology space. “We need to go forward, not backwards,” he said, adding that “the most important thing is to recuperate Chapultepec Park”. Restoration efforts in the sprawling, 1,700-acre forested park, which include the rebuilding of a historic gatehouse, fountains and pedestrian boulevards, have been slowly undertaken since 2005. Alejandra Frausto, the incoming secretary of culture, has voiced support for transforming Los Pinos into “one of the largest cultural complexes in Latin America and the world”, saying it could include 148 acres of exhibition and workshop space. But she adds that the new administration would review the plan and “consult architectural experts” before making any final decision.